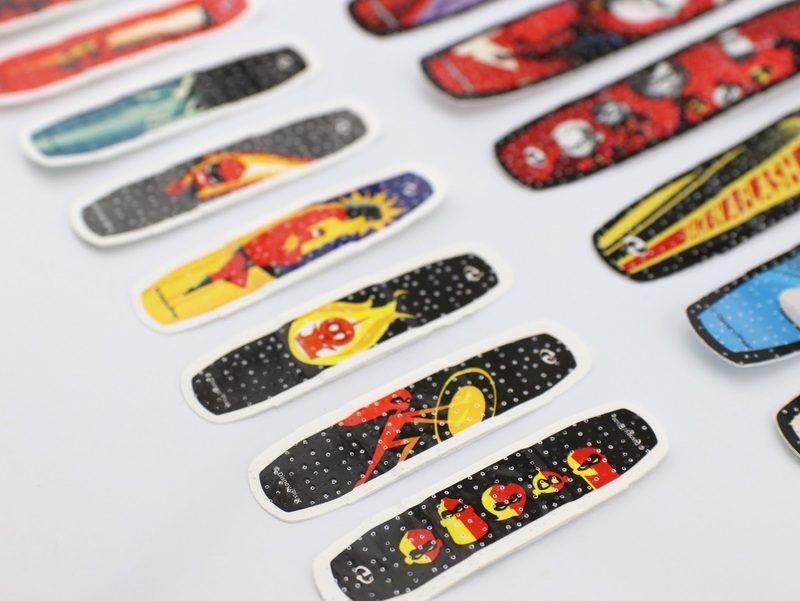 No matter how strong or powerful we are, everyone needs a Band-Aid once in a while...even super heroes get scrapes and scratches! Ooh—and paper cuts. They're the worst. 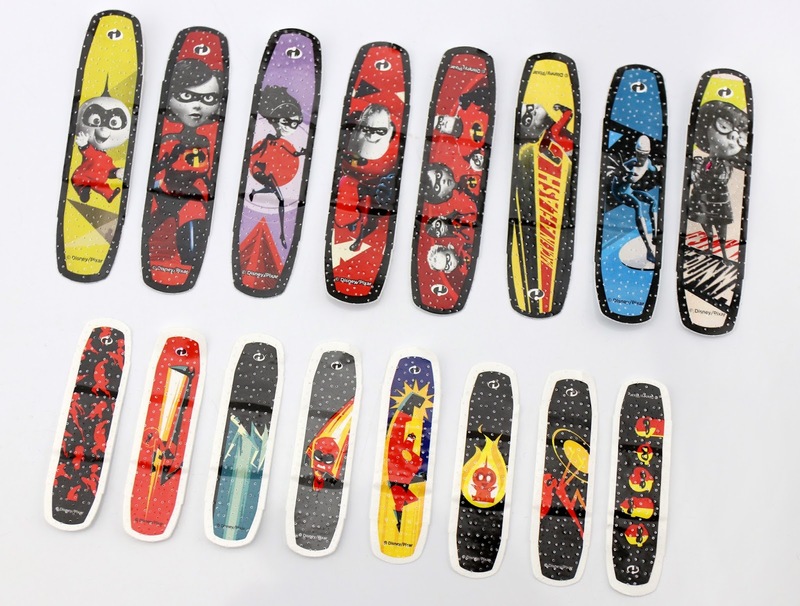 Anyway, check out this awesome new set of Band-Aids inspired by Incredibles 2! Young or old, if you're an Incredibles fan hotly anticipating this sequel, you might want to pick these up. I was able to snag them at my local Target just yesterday! Starting with Inside Out a few years back, I've since gotten every new Pixar inspired Band-Aid boxed set that has come out (which includes The Good Dinosaur, Finding Dory, Cars 3 and now these ones). 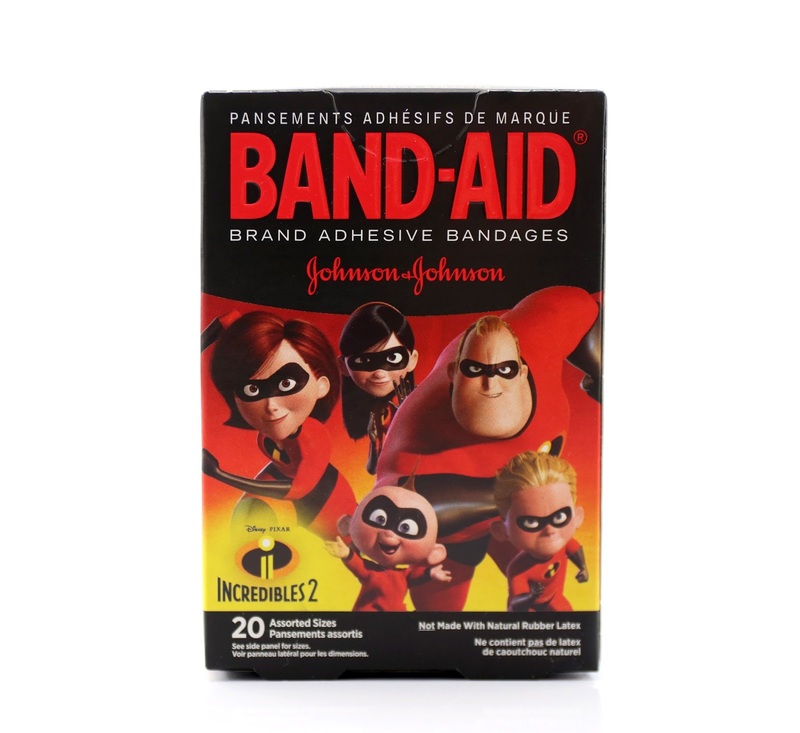 I had a feeling Incredibles 2 Band-Aids would be out soon and, well, I was spot on! I was super excited to stumble upon these since I had been keeping my eyes open for them (assuming they would be made) over the past couple weeks. 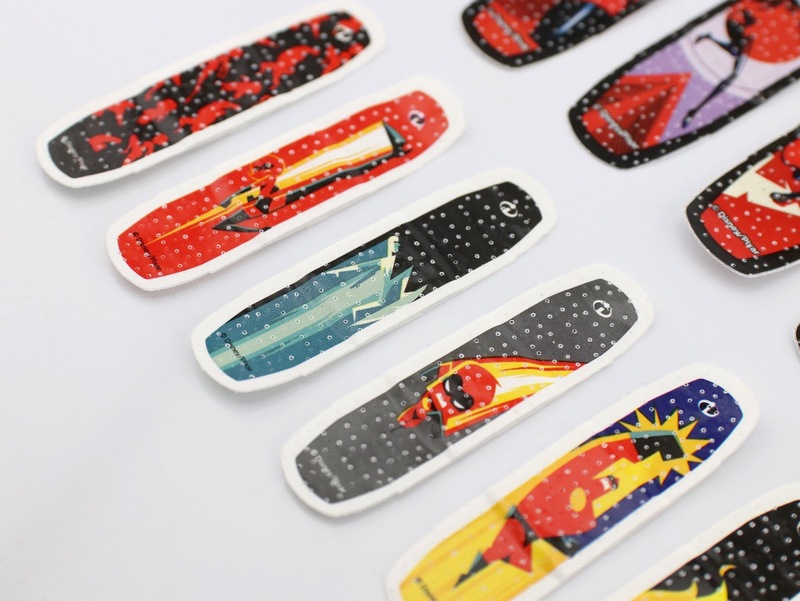 Inside the box you'll find 20 bandages (assorted sizes—10 large, 10 small) with 16 unique designs. Check out all of the neat designs below! 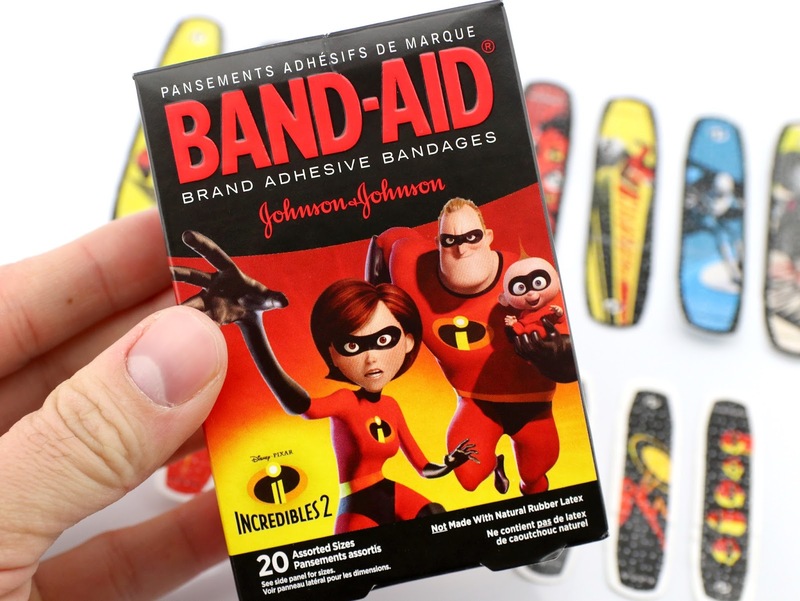 The larger bandages basically feature the rendered models of the characters (minimalized and colorized, giving them a comic book-esque look), one for each member of the Parr family (as well as one with all the family together and then one for both Frozone and Edna). The small bandages are the coolest ones as they feature some of the same incredible graphic/stylized designs by artist Eric Tan which have been used in a lot of the film's marketing (ever since THIS poster, which debuted at last year's D23 Expo). Note: Eric Tan is a creative at Disney Consumer Products (my dream job). If you like what you see here, wait till you see the full pieces he's done (if you haven't already)! Be sure to check him out on Instagram HERE for a fuller look at his Incredibles 2 art. Really cool stuff. Just look at these things. I know they're just Band-Aids, but come on. Those are some SWEET designs. Be sure to visit your local store soon if you're interested in adding these to your home's first aid box. I for one will be putting these away for our future kids to use someday! Retail price at Target is $2.79. 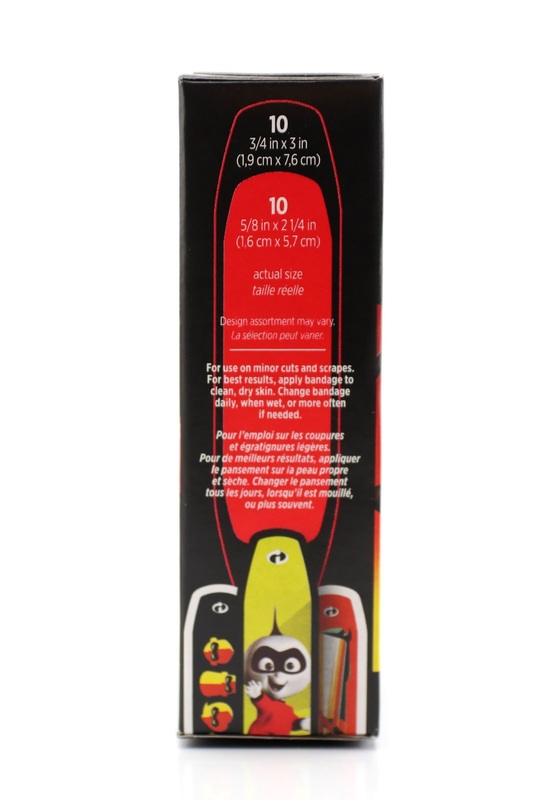 If your little ones are already fans of The Incredibles, then these might be a must have! If you're an adult and you're interested in these for yourself, no shame. I encourage that. Let me know your thoughts in the comments below! Will you be picking these up?